This bee flies from the hive to the pod - in particular podcasting, and the world of professional podcasts and narration. Quality audio is essential to create a buzz with podcasts, and thanks to four proprietary, internally shockmounted 25mm medium diaphragm capsules, the Beecaster delivers. 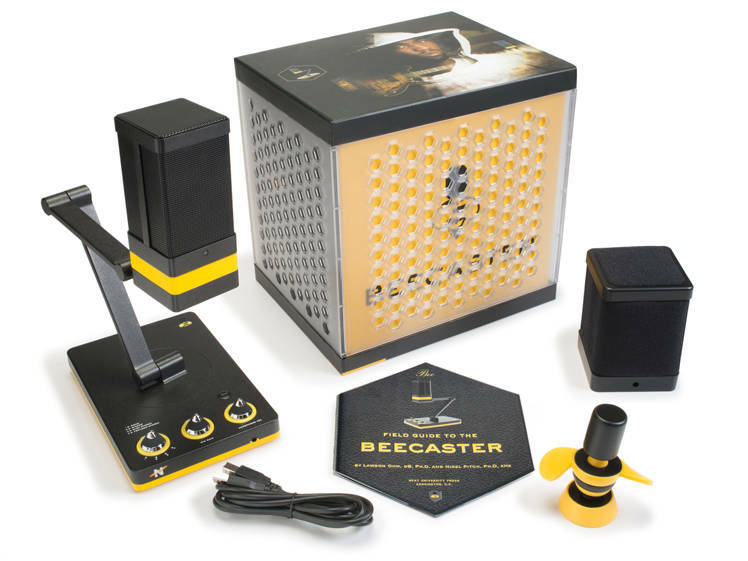 To cover all possible needs, Beecaster can shape your sound with four switchable sound pickup patterns - mono, stereo, wide stereo, and focused stereo. 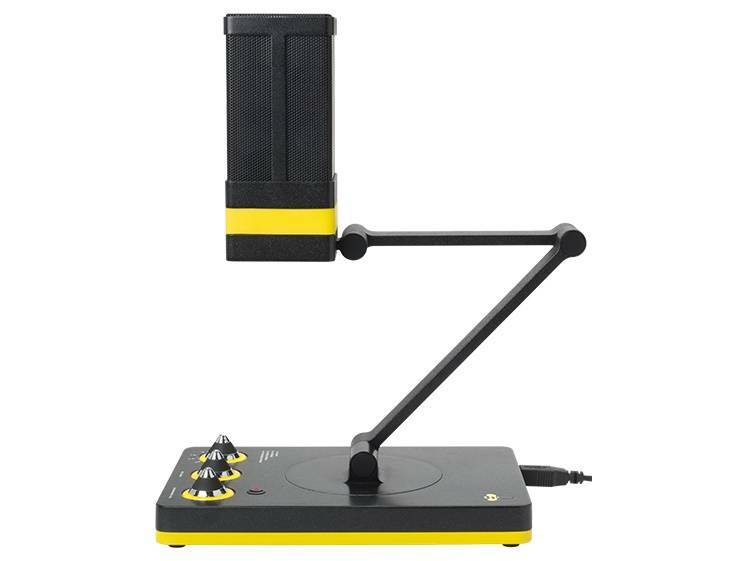 The Beecaster may fly solo, but brings a lot of supplies: fully integrated headphone monitoring with volume control, mic gain control, mute button, adjustable boom arm with swivel capsule for optimum positioning, built-in pop filter, custom USB cable designed for digital audio, and the option to generate high-resolution audio as well as standard CD-quality audio. There's simply no better, or more convenient, way to bring vibrant audio to podcasts. Transducer Type: Proprietary 24mm Condenser Capsule, internally shock-mounted. 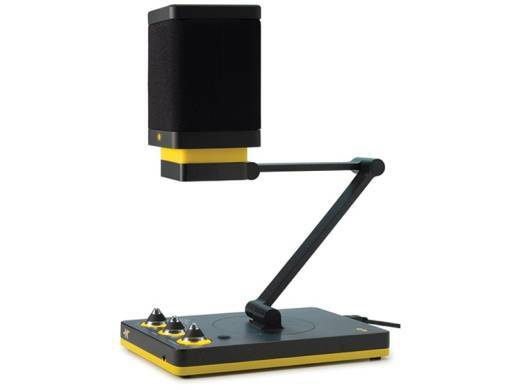 Description: The Beecaster, created by the founders of Blue Microphones, is a rugged, high-resolution USB mic designed for professional-level podcasting and other demanding audio applications that involve recording or speaking directly into a Mac or Windows computer. Its four “sonic signatures” (mono, stereo, wide stereo, and “focused” stereo) provide extreme flexibility, while plug and play operation and a built-in, zero-latency headphone amp make the Beecaster easy to use.